The good thing about having a good PC is that you can easily run Hackintosh on it; for those who do not know, Hackintosh is the process through which you can run Apple’s Mac OS on non-Apple computers. Sure, there is a whole process that you need to follow but if you are careful, you can easily run Macintosh on your computer as well. All you need is having the proper hardware, and once you have that, you will be able to follow the slew of procedures available and be able to run Hackintosh without any reason. Normally, you can do well with almost every single component available with you, but if you are looking for to add some graphical fire power too, you need a good GPU that works well with the Hackintosh. Keeping that in mind, this list caters to the best hackintosh graphic cards that are available in the market. Before, this article was not possible because of the crypto bubble being on the rise, but now that the bubble’s burst and the prices are coming down, buying a GPU is not all that difficult to begin with anymore. So, this article is going to talk about the best Hackintosh graphic cards available in the market. 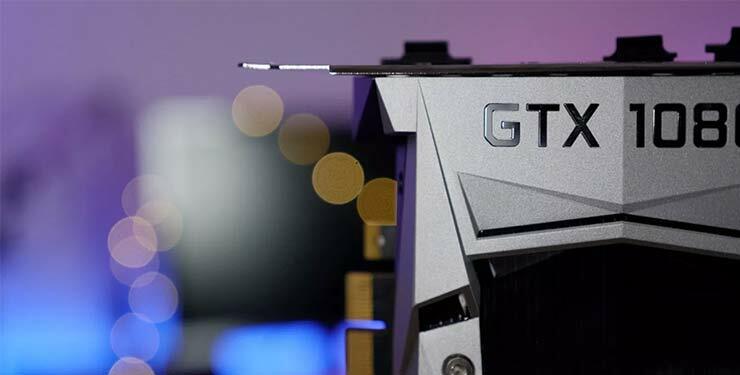 When you start your search for the most powerful consumer grade graphics card in the market, you will end up finding the GTX 1080Ti on the top of the list. The reason is simple, at the moment, it is the most powerful graphics card consumers can buy, and for all the right reasons. While the crypto did end up raising the prices to unbelievable amount, the fact that it is finally settling down is a good thing to see. If you are planning on buying the EVGA GeForce GTX 1080Ti for the sake of running Hackintosh with it, then I have to say that it certainly is a great choice. Cards from Nvidia have always been among the top performers in Hackintosh, and have the most amount of support as well. So, there is no doubt that the 1080Ti will perform excellently. Even if you do not want to use it with Hackintosh, the GPU makes up for an excellent powerhouse of technology that can smash through any game you want. Needless to say, you will not be having any issues whatsoever as far as the performance is concerned. If I am to talk about something that I did not like, I would be hard pressed to find out something that is really wrong with this GPU. However, I have to mention that you are going to need a strong power supply in order to properly be able to run the GPU, and in addition to that, the GPU might be expensive for some people, so you do need to keep that in mind as well. All in all, the EVGA GeForce GTX 1080Ti is an excellent GPU that will serve you well regardless of the use you have for it. Note: Considering how all of the graphic cards we are going to feature in this article are being tested and reviewed based on their performance in Hackintosh, the “cons” section will be empty for the most graphic cards, because there is no proper way to measure performance on a Hackintosh. Excellent performance outside, and inside Hackintosh. Will break through every single game you throw at it. Can render and edit videos with ease. 11 gigs of VRAM mean plenty of video memory. The price might be high. With that said, today, I am looking at the EVGA GeForce GTX 1070 SC. As I have already tested all of the graphic cards in the list, the GTX 1070 comes out as one of the best options. It is not a lot slower than the 1080Ti, so that is certainly a good thing, but it certainly is a lot cheaper, and does not require a lot of power draw either, which again is a great thing. The performance on the Hackintosh is consistent, and I did test it on Windows too, and I was able to play games at 1440p without any lag whatsoever. So if it’s the gaming performance you are after, then you do not have to worry about. While the Hackintosh did not create any problems, there is one thing I would like to say that if you are getting the 1070 just for the sake of using it in a Hackintosh, you can save a good amount of money, and opt for a used 980Ti, because it does cost the same amount of money, but might consume a slightly higher power. 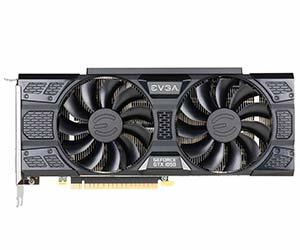 All in all, the EVGA GeForce GTX 1070 SC is a great value for money, and should work fine whether you want to play games, or just use it in your super powerful Hackintosh. Great for both gaming and Hackintosh use. A used GTX 980Ti would perform the same and will be cheaper. The recent crypto craze ended up hiking the price of Radeon cards so much that they nearly rivaled the prices of the GTX 1000 series. 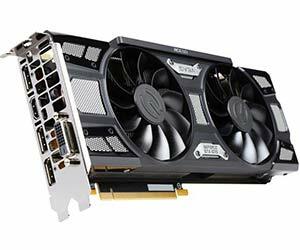 However, the prices are slowly coming down, and they have reached a point that you can easily buy the graphics card without having to worry about paying double the cost. 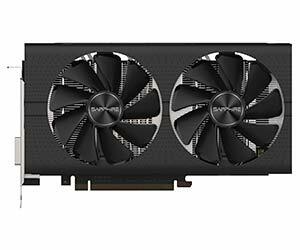 With that said, for anyone who is looking to build a Hackintosh, the Sapphire Radeon PULSE RX 580 would be a great option for all the right reasons. 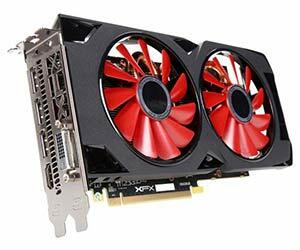 For starters, the graphics card is really efficient with power as it does not draw as much power as some of the other options that are available in the market. I would not call it absolute powerhouse as it is decent for 1080p gaming, but anything beyond that and you might have to compromise on the settings. However, the important thing here is that this article basically talks about graphic cards that are good for Hackintosh, the good news is that the RX 580 works flawlessly. I had some confusions because I know Nvidia is really good with Hackintosh, but I was not sure about the Radeon series, but thankfully, there were no glaring issues in getting it to work, and I am grateful that it did. Though I have to talk about the availability factor as finding this card was not an easy task; most of the retailers were out of stock, and the ones that had this was selling it at high prices. However, understand this that the blame game goes straight to the crypto market. Even though the fad is going away, it is necessary that you know that it will take some degree of time before the effect finally fades off. In conclusion, the Radeon RX 580 is not a bad graphics card at all, however, you need to understand that finding it might be a bit of a difficult task for people who are looking to buy it. The GPU offers good value for money. Does not draw a lot of power. Not the easiest to find. There is nothing wrong with being on the green team as Nvidia has proved time and again that they are really good when it comes to releasing some amazing graphic cards. However, we are toning down things a little bit especially when it comes to the pricing factor. The Gigabyte GTX 1060 Windforce OC 3GB is one of the more affordable options in the list, and for all the right reasons as well; for starters, the graphics card does not offer a lot of VRAM which is certainly a good thing for people who do not want to play high end games, and in addition to that, it also means lower power consumption. With that said, the Gigabyte GTX 1060 Windforce OC 3GB is not the most powerful card out of the bunch, but it does serve as a good thing because you are not going to be paying a lot of money for it either. In addition to that, my testing revealed that thanks to the resource friendly nature of the Mac OS, the 1060 is more than enough as there are no situations in which you might feel like you need more power. All the drivers that are needed to make this GPU work on Hacknitosh are present, and even if you do decide to game, you can still do so on 1060 without running into any major issues. Overall, I could only say that the limited VRAM might make the 1060 a not so ideal choice, but if it’s performance you need on the Hackintosh, and you are not willing to spend the top dollar for it, then it is more than adequate for you to go for. The card can easily be found in the market. Setting it up on Hackintosh is easy. The 3GB VRAM might not be enough if you want to game. For the longest time I was under the impression Hackintosh will need a pretty powerful hardware configuration in order to be able to work without any issues whatsoever. However, when I began my testing, I was proven wrong within the test of first few graphic cards. The good thing is that Hacintosh does not care just how much you have spent on your graphics card, or what the VRAM is, that is certainly a good thing for people who only want to use a cheap graphics card for Hacknitosh, but not so much for those who are looking to play games as well. With that said, the RX 570 8GB is not a bad GPU for gaming either, you can do 1080p with ease, and you can play most of the games without any issue whatsoever. It even works better in Hackintosh because all the appropriate drivers are there, and if you have the right hardware, then properly installing the graphics card is only one step that can easily be achieved. With that said, I can’t quit complain about the RX 570 from the perspective of a Hacknitosh graphics card, because there is not a lot to complain about. It works well in most of the conditions, and does not create any issues either. If you look at the situation, no graphics card is a bad graphics card for Hackintosh, because nearly every option is going to perform exactly the same, with the only difference being the difference of installation, and that is about it. The graphics card is finally affordable to buy. The power draw is small. There is enough connectivity to go on about. 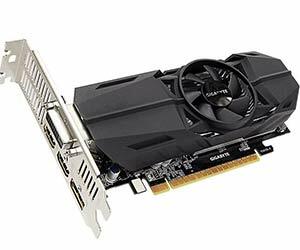 If you find yourself on a tight budget, and you want to buy a graphics card that will run well on Hackintosh, then there is nothing to worry about as there are many options available in the market. 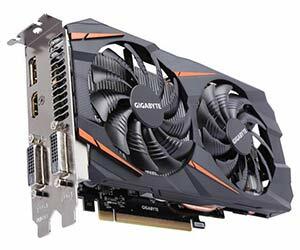 With that said, one of the options is the Gigabyte GTX 1050Ti G1 Gaming 4GB. While not the most powerful graphics cards available in the market, the GTX 1050Ti offers more performance than many of the users are looking for in Hackintosh. Sure, you might not be able to render or edit videos, but if you want a graphics card that would give you display, then go ahead. 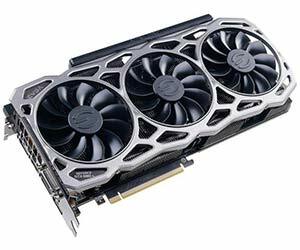 The GTX 1050Ti is one of the cheaper options available on this list; it also is available easily in the market, and for some reason, it did not go through the awful trend of crypto currency, meaning the price hike did not apply to this GPU. You can easily run it off of a 450-watt power supply. Another good thing is that the GPU is available in variants that are low-profile, so if you are building a HTPC based on Mac OS, then it certainly is a good idea. I can’t really say there is a lot of wrong with this graphics card, because the testing was only limited to the Hacknitosh performance, and as far as that performance is concerned, it is as solid as a rock. So, keeping that in mind, the GTX 1050Ti is a solid option for anyone who is on a budget, and want to run Hackintosh. The guides are available on the internet, so as far as the installation is concerned, it really is a simple procedure that does not take a lot of time to install either. One of the cheapest graphics card available in the market. Requires a lot less power. Available in low profile options as well, for those who want to build HTPC Hackintosh computers. I don’t see any con. I am almost done with reviewing all the graphics card that are the best for Hackintosh, but I still have 2 entries to go before I call it a day and finish this roundup. With that out of the way, the EVGA GTX 1050 FTW Gaming makes it to the list as the cheapest Hackintosh graphics card so far. But is it really good enough to be able to be a part of our list? Well, the initial testing did show that, but let’s take a deeper look and see just why. To start, we have to talk about how cheap the 1050 is; it is one of those lucky graphics card that did not take a huge price hike because of the entire crypto situation. It is cheap, and it works well with almost every single power supply unit. Unlike some of the powerhouses that I reviewed earlier, you do not need a power supply with multiple GPU connectors, because this GPU does not demand anything as such. I have run it on multiple computers with different power supplies, and the performance remained the same across the board. Plus, it was easy to make this graphics card work with Hackintosh thanks to the matured drivers and files. Plus, the tutorials that are available on the internet are some of the finest, most fleshed out you can actually loo for. Again, I do not think the graphics card has any negative sides to it, because we are measuring these graphics card based on how they work on a Hacknitosh, and due to the lack of games on Mac. So, the performance numbers are not going to be a concern here, as we did not test the performances at all. In conclusion, the EVGA GTX 1050 FTW Gaming is a great and cheap option for anyone who is looking for something they want to buy just for the sake of powering up their Hacknitosh powered PC. Does not require a lot of room in the chassis. Does not require external power connectors. 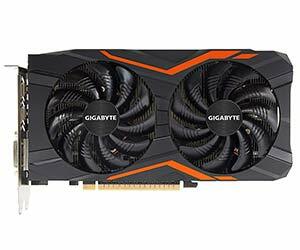 The last graphics card on our list is the Gigabyte GTX 1050 OC Low Profile 2GB, the cheapest card on the list by now, and probably for people who want to build an HTPC Hacknitosh. I believe it has been evident based on the reviews we have done so far that it does not matter just how powerful your graphics card is, it just has to work well with the Mac OS’ ecosystem. With that said, reviewing the Gigabyte GTX 1050 OC Low Profile 2GB was like taking a walk in the park; it was literally one of the easiest graphic cards to work with, and while many people usually had issues setting it up, I just followed the guide that was available on the internet. I would also like to point out that I treated the graphics card the way it was meant to be treated; I did not use a high end PC with it; as a matter of fact, I paired it with a modest i3 8100, and built the entire system in an HTPC because I wanted to see how it will work. To my surprise, it was a breeze, minus the cable management, because I am not good at managing cables in tighter spaces. Needless to say, anyone who is looking to build a budget Hacknitosh, I don’t think you can make a better decision than using this GPU for your Hacknitosh needs. As for the complaints, I think it would be better to just refer to the note that is in the beginning of this roundup. In conclusion, the Gigabyte GTX 1050 OC Low Profile 2GB is a great offering for people who are looking for a small, low profile graphics card. I think it is safe to say the conclusion is pretty simple. The testing methodology of graphic cards on Mac OS is much simpler as it is on Windows. Because here, we do not have to test any gaming performance or rendering performance. Here we have to test the GPUs for how easy they are to install, and how they work with the Macintosh. The good thing is that all GPUs are great, but it all comes down to your personal preference, and how you want to use it. So, do keep that in mind, and it will be fine. Hey, I have “GeForce GTX 650 Ti” will this work? hey, i have “AMD Radeon R9 200 Series” and Motherboard “G1. Sniper A88X- CF” will this work? How about FCPX? Are these the best choice? I’ve had no luck with XFX 280X cards.. can you recommend a brand (e.g. Sapphire, MSI, ASUS etc…) which has a hackintosh compatible 280x model? This card demolishes the Nvidia cards for Final Cut Pro use. The MSI 280x works flawlessly. How is this the “10 Best Graphics Cards For Hackintosh 2018” when it was written nearly 2.5 years ago? The title should not have 2018 in it. very misleading.